According to regulations established by the Universal Postal Union (UPU) at its Vienna conference in 1891, mail posted on a ship at sea was franked by stamps of the country to which the ship was registered. The applicable postal rate was that of the ship’s country. At the 1897 conference in Washington DC, the UPU adopted the French word "paquebot" (French being the UPU’s official language) for this mail service. Paquebot means packet boat, a ship operating over a regular, scheduled route. At its next port of call, the ship transferred the mail to the mail system of that port’s country. The country postmarked the mail possibly with a special paquebot cancel (usually capitalized or entirely upper case), and put it into the mail stream for processing and delivery. Other paquebot markings I have seen are “Posted on Board”, “Ship Letter”, “Ship Mail”, “Packet”, “Posted at Sea”, and “Posted on the High Seas". Figure 1 shows a cover bearing the 1932 King George V 3¢ Medallion definitive, issued on 1 December 1932. The cover was posted on board the Duchess of Atholl at the ship purser’s office on 7 September 1935 according to the cachet struck lightly at the cover’s left side. It was dropped into the British mails at Glasgow, Scotland, and bears a Glasgow machine cancel with a "PAQUEBOT / POSTED AT SEA" killer. The cancel is dated 6 September 1935. My guess is that the Glasgow date is correct and that the letter was actually mailed at the purser’s office on 5 September 1935, as the ship is listed as arriving at Glasgow on 6 September. Figure 1 - The "PAQUEBOT / POSTED AT SEA" marking on this cover means it was mailed at sea. It entered the postal system at Glasgow, Scotland, on 6 September 1935. While paquebot markings are not exactly plentiful, there are a sufficient number of covers available to form a most interesting collection. These covers can bear Canadian stamps used abroad or foreign stamps used in Canada. Canadian covers are known with "Paquebot" cancellations from the following countries: Austria, Puerto Rico, Philippine Islands, Hong Kong, Hawaii, Bermuda, Jamaica, Trinidad, Indonesia, Fiji, Japan, Barbados, France, New Zealand, St. Vincent, Montserrat, British Guyana, Tanganyika, England, Tahiti, and South Africa. One area of paquebot cancels requires that you look closely at the cover and its cancel. Mail from Canadian ships calling on Canadian ports require close scrutiny. Such covers will be franked with Canadian stamps and will be cancelled with Canadian "Way Mail" cancels. Figure 2 shows an example of such a cover, also franked with the 1932 George V 3¢ Medallion stamp. The cover was mailed at Prince Rupert, British Columbia, and carried to Vancouver for posting. It is machine cancelled 21 June 1934, with a straight line “WAY MAIL” killer. Such covers are referred to as "coast mail covers”. 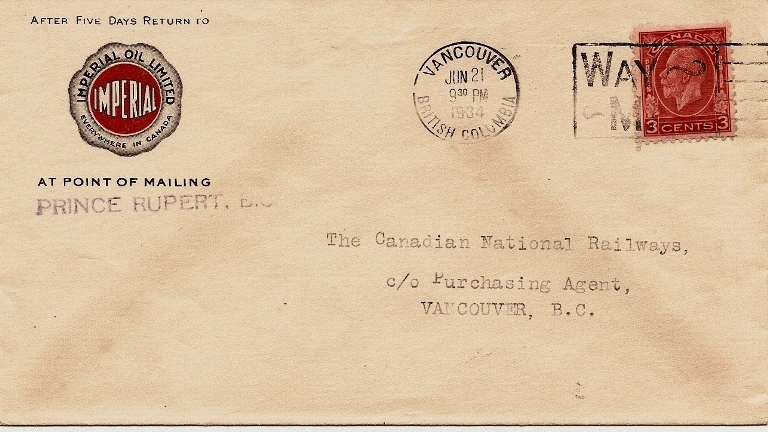 Figure 2 - The killer of the machine cancel on this cover reads "WAY MAIL", meaning the cover was delivered via ship operating along the coast of British Columbia. This 1934 cover was carried from Prince Rupert to Vancouver. Covers franked with non-Canadian stamps will generally bear a "Paquebot Posted at Sea” marking or a circular marking with five lines reading "Paquebot Posted at Sea Received (date) Post Office". Figure 3 illustrates a great example of such a cover, one bearing a United States 3¢ Washington Inauguration Sesquicentennial commemorative stamp of 1932. 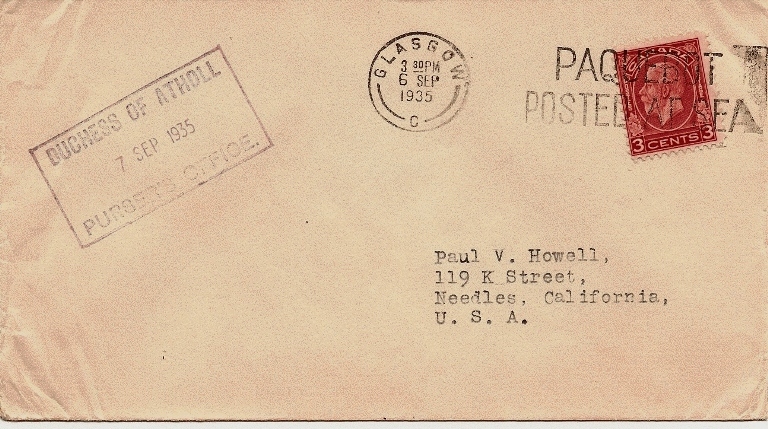 The cover was mailed on board the SS Fort Townsend and was dropped off for posting on 29 May 1939 at Halifax, Nova Scotia, where the circular paquebot marking was applied. 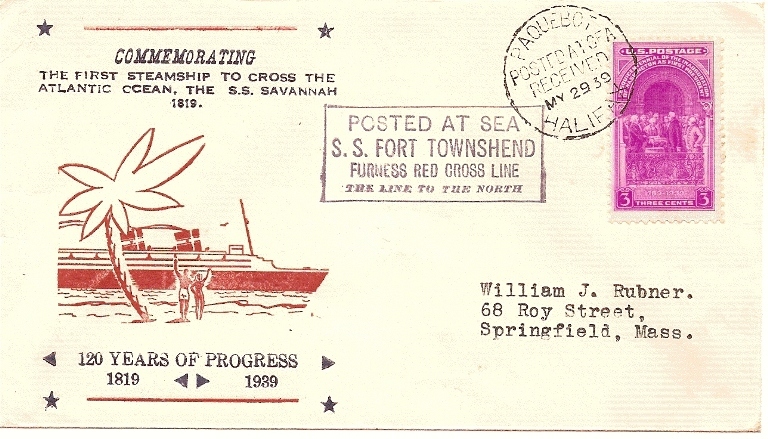 The cover also caries the SS Fort Townsend "Posted at Sea" cachet. Figure 3 - Although it bears a United States Washington Inauguration stamp, this cover was mailed on board a ship and entered the postal system at Halifax, Nova Scotia. Figure 4 shows a cover bearing a nice copy of Canada’s 1932 King George V 1¢ Medallion stamp. The cover was mailed on the Japanese vessel Hikawa Maru on Christmas Day 1932. It is franked with a 1¢ stamp because that was the rate for printed matter (a Christmas card qualified for that rate in Canada at that time) and that rate applied on board the Japanese steamer. The envelope is unsealed as was required for the rate. The cover has a nice boxed "PAQUEBOT" strike on the front, a mark applied at the receiving post office, probably one on the west coast of the United States. 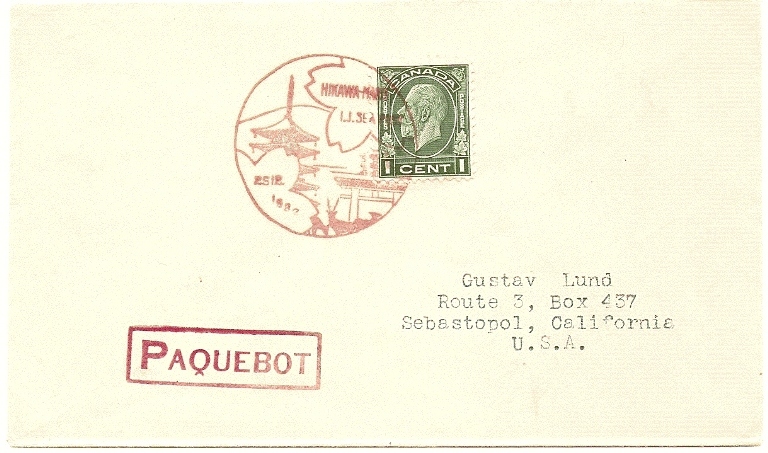 Figure 4 - This paquebot (Packet Boat) cover, mailed at the 1¢ printed matter rate, was posted on a Japanese ship. A number of excellent references exist for paquebot markings. Because of the serendipitous nature of these markings (they can be applied to mail almost anywhere), the references are usually world wide in scope. Roger Hosking’s Paquebot Cancellations of the World , published in a second edition in 1987, catalogs and values paquebot markings of the world. Edwin Drechsel wrote a series of three booklets about paquebot markings. The booklets predate Hosking’s second edition, but his works are still worth having. Literature dealers should be able to help you locate these books. Collecting paquebot markings can be fun and challenging. Such markings are studied by the Slogan Cancel Study Group within the British North America Philatelic Society.